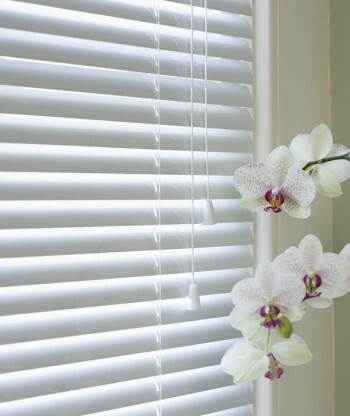 Venetian blinds offer privacy and sun screening with an element of security. Ranging from the practical base colour 50mm version to the chic, colour co-ordinated slimline 25mm version, the venetian blind can satisfy any requirement whether domestic or commercial. All blinds made to measure with a fast delivery time. Free 'at home' measuring service. Top quality Venetian Blind system. 25mm, 35mm, or 50mm Aluminium slats.